There are more than 35,000 species of animals and plants listed on the Appendices of CITES. And these species may be traded live, dead, as parts and pieces, as ingredients in medicines and foodstuffs, or manufactured into a wide range of manufactured goods. Accurate identification is crucial if management, scientific and enforcement authorities are to effectively implement the Convention. This is a particular challenge for border control officers who must be able to correctly identify each species—in whatever form—that they encounter in international trade. They must be able to distinguish CITES and non-CITES species, and validate the identification on CITES permits and other documents. Successful prosecution of law breakers may hinge on the identification of the species in question and the credibility of the identification process. E. Cooper Environmental Consulting offers more than 28 years of professional experience on the identification of animals, plants and wildlife products in international trade. This includes years of field experience inspecting more than 4,000 wildlife shipments and the identification of hundreds of thousands of specimens. We offer identification based on morphological examination and comparison with known reference specimens and scientific literature. If you have specimens in need of identification, please contact us with the details. If we cannot assist you we may be able to put you in contact with other experts who have specific expertise with the taxa or products in question. 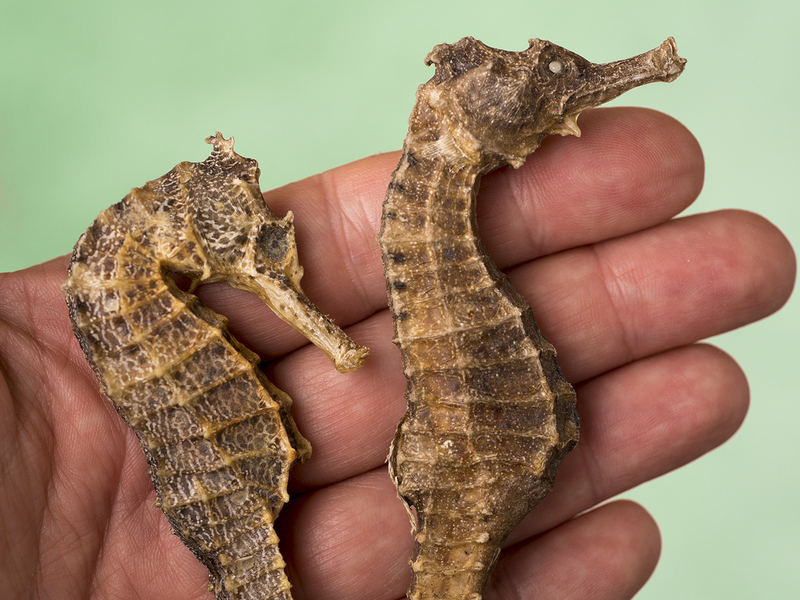 Dried seahorses, traded as an ingredient in traditional medicines.